BOMBED OUT: The first Chechen war took place in 1994 - 1996. Russia declared war on the territory when Chechnya attempted to break out of the counrty. 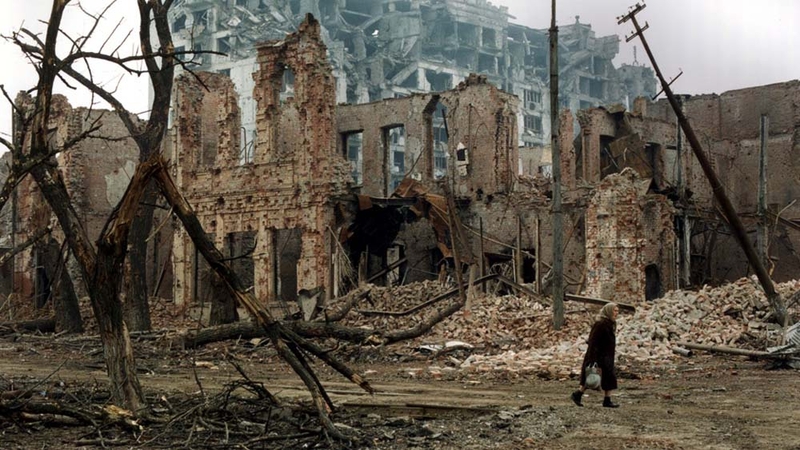 This picture is taken in the bombed capital Grozny in 1995. What makes war acceptable? Julie Wilhelmsen launches her most recent book, followed by a conversation with Aftenposten commentator Helene Skjeggestad. How can war be made to seem a legitimate and necessary undertaking? This is the main question asked by Senior Research Fellow Julie Wilhelmsen in her latest book, Russia's Securitization of Chechnya: How war became acceptable. Wilhelmsen scrutinizes how Russia has portrayed Chechnya, a small territory of less than one million people on the southern border of the Russian Federation. After the territory attempted to cut loose in the wake of the fall of the Soviet Union, Russia declared war on Chechnya twice during the 1990s. Wilhelmsen examines Russian portrayals of the two Chechen wars. The first war, 1994–1996, was unpopular among the Russian popular. By contrast, the second, which began in 1999, was very popular in Russia. What could bring about such a change of attitude in the course of only a few years? ‘This happens through a broad social process of re-drawing the boundaries between us and them. When “the other” can be seen as extremely different from “us” –and dangerous – then violence against the other group becomes legitimate. Such re-drawing of boundaries involves language, how we represent ourselves and talk about ourselves, and how we talk about the other group’, Wilhelmsen explained in her presentation. She pointed out that a dramatic change took place in the official Russian discourse about Chechnya during the 1990s — from an image of Chechnya as a partner to Chechnya as an international terror threat. 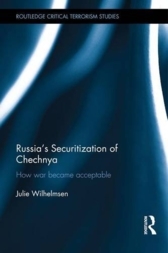 The book builds on Wilhelmsen’s PhD dissertation, where she examined statements and texts of Duma representatives, experts and journalists before and during the war to understand how Chechnya and its people were described. ‘The media were crucial in making the first Chechen war an illegitimate undertaking, whereas the second was made to seem legitimate. And even during the second war, strict control of Russian media had yet not been enforced’, Wilhelmsen noted. Also experts contributed to strengthening this terrorist image in Russia. 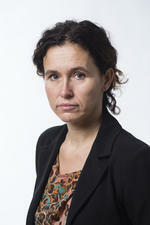 Wilhelmsen underscores the importance of the research method she has employed in her work. Discourse analysis — where the researcher studies how people, institutions and situations are portrayed through language in a broad sense — can reveal the central role of discourse as regards the policies that are adopted. Interested in Russia? Thurday 10 November NUPI organizes the annual Russia Conference at Litteraturhuset, Oslo. More info and sign-up here.